A one-wheel, electric-powered skateboard project has raised more than $100,000 from people dreaming of their own hoverboard! It doesn’t exactly float, but with current technology the Onewheel will have to suffice. 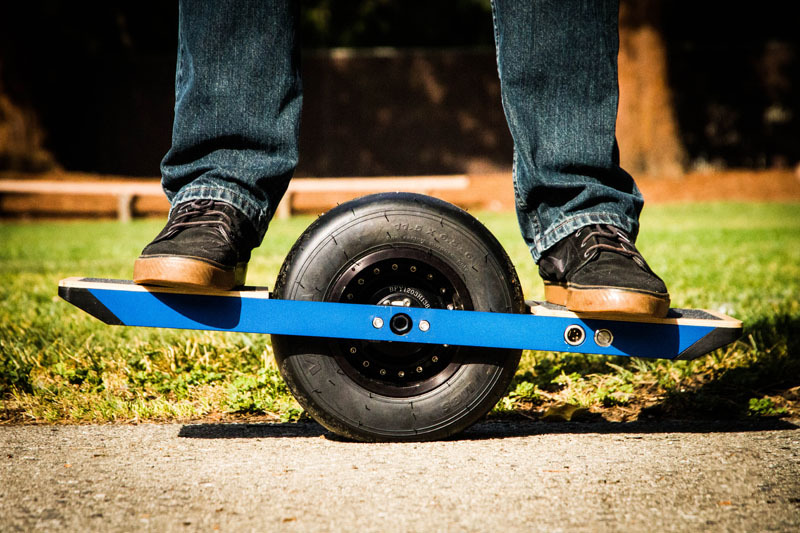 Now on crowd-source funding site Kickstarter, Onewheel is a “self-balancing electric skateboard that lets you fly over pavement on a single wheel using self-balancing technology,” according to Future Motion, the California-based company that developed it. Inspired by the dream of a hoverboard, it doesn’t actually float. The company does claim a similar sensation, which for now at least appears good enough for the masses with 247 backers pledging $132,000 with 14 days left in the campaign. “We started with the dream of a hoverboard, the smooth feeling of flying over pavement,” says inventor Kyle Doerksen in the company’s promotional video. Watching the company’s video, the board definitely carves and moves smoothly. However, I can’t help but associate it with the Segway, which also moves via forward and reverse lean. An “axial flux” brushless hub motor gives Onewheel the power it needs without a transmission — no gears or belts and just one moving part, the wheel itself. It is built around a go kart tire. Lithium iron phosphate batteries provide high peak power for acceleration and self-balancing, and they recharge in less than 30 minutes. Riders can accelerate up to 12MPH by leaning toward their front foot. Leaning back slows down, or even reverses the device. Regenerative braking recharges the battery during deceleration. The company says it represents “an entirely new take” in the emerging electronic vehicle market. I tend to agree, but I also see some serious potential shortfalls — the big ones being price and range — the Onewheel will retail for a hefty $1,300, and its range is only 4 to 6 miles. While it looks fun, it seems like this would be a definite underdog to the good old bicycle when it comes to practical transportation. 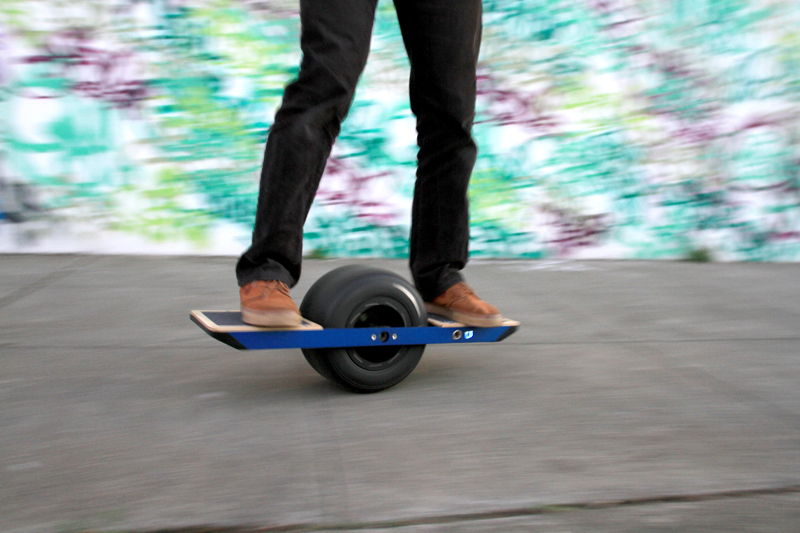 But if the dream of owning a hoverboard of your very own seems too far off, you can settle on the Onewheel for now. It’s available on Kickstarter for a reduced price of $1199.